3-Methylglutaric acid (MGA) is an organic acid that accumulates in 3-methylglutaconic (MGTA) and 3-hydroxy-3-methylglutaric (HMGA) acidurias. Patients affected by these disorders present with neurological dysfunction that usually appears in the first years of life. 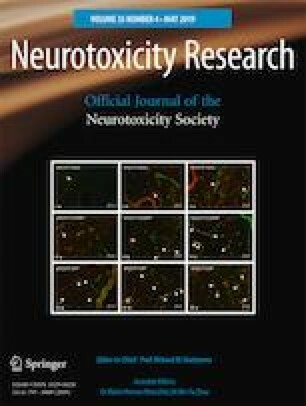 In order to elucidate the pathomechanisms underlying the brain injury in these disorders, we evaluated the effects of MGA administration on redox homeostasis, mitochondrial respiratory chain activity, and biogenesis in the cerebral cortex of developing rats. Neural damage markers and signaling pathways involved in cell survival, and death were also measured after MGA administration. Furthermore, since the treatment for MGTA and HMGA is still limited, we tested whether a pre-treatment with the pan-peroxisome proliferator-activated receptor (PPAR) agonist bezafibrate could prevent the alterations caused by MGA. MGA provoked lipid peroxidation, increased heme oxygenase-1 content, and altered the activities of antioxidant enzymes, strongly suggestive of oxidative stress. MGA also impaired mitochondrial function and biogenesis by decreasing the activities of succinate dehydrogenase and various respiratory chain complexes, as well as the nuclear levels of PGC-1α and NT-PGC-1α, and cell content of Sirt1. AMPKα1 was further increased by MGA. Neural cell damage was also observed following the MGA administration, as verified by decreased Akt and synaptophysin content and reduced ERK phosphorylation, and by the increase of active caspase-3 and p38 and Tau phosphorylation. Importantly, bezafibrate prevented MGA-elicited toxic effects towards mitochondrial function, redox homeostasis, and neural cell injury, implying that this compound may be potentially used as an adjunct therapy for MGTA and HMGA and other disorders with mitochondrial dysfunction. This work was supported by grants from Conselho Nacional de Desenvolvimento Científico e Tecnológico (CNPq) # 409009/2016-4, Programa de Apoio a Núcleos de Excelência (PRONEX II) # 16/2551-0000465-0, Fundação de Amparo à Pesquisa do Estado do Rio Grande do Sul (FAPERGS) # 17/2551-0001022-1, Rede Instituto Brasileiro de Neurociência (IBN-Net) # 01.06.0842-00, and Instituto Nacional de Ciência e Tecnologia em Excitotoxicidade e Neuroproteção (INCT-EN) # 465671/2014-4. The experimental protocol was approved by the Ethics Committee for Animal Research of the Universidade Federal do Rio Grande do Sul, Brazil, and followed the NIH Guide for the Care and Use of Laboratory Animals (NIH publication 85-23, revised in 1985). All efforts were made to minimize the number of animals used and their suffering.